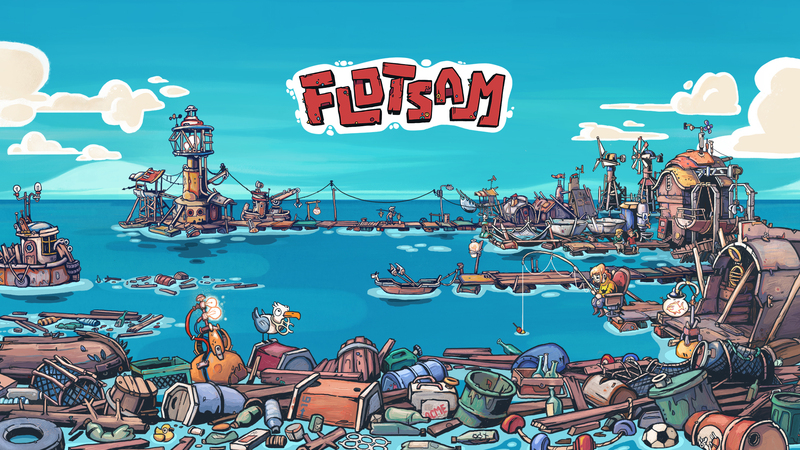 Flotsam is a building sim where you try to survive and build a functioning society in a world flooded by water. Wishlist us here on Steam! 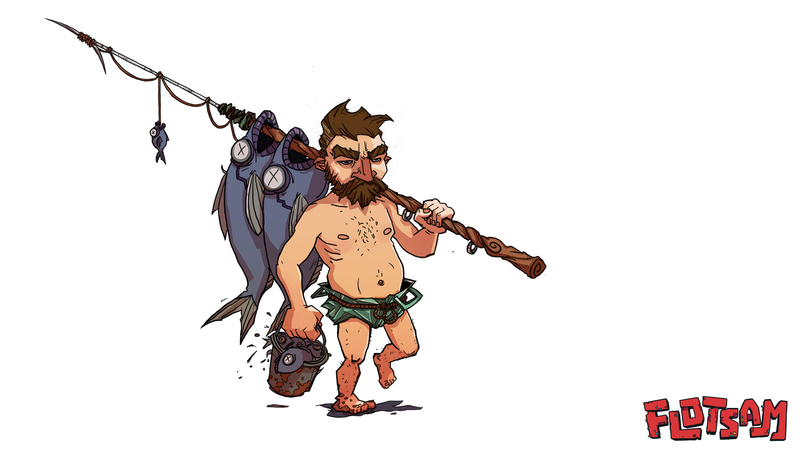 Because there's no land you and your survivors will have to adapt to a life on the seas. Food will consist of fish, seafood like mussels, lobsters or even seaweed. Fresh water will also be very important because it's very scarce so you'll have to use different methods of extracting/finding fresh water. For example you'll be able to build big basins to catch falling rainwater. Building materials will also be scarce. At first you'll be able to find these by collecting flotsam floating on the water, but later you'll find other ways to collect materials by sending divers to the bottom of the sea to collect resources. At this moment we're developing the game part by part to avoid feature creep which is obviously a big trap with this kind of game. As said before I'll slowly add updates to this thread starting with some concept art. you can find a list here! concept art looks pretty sweet. im intrigued. 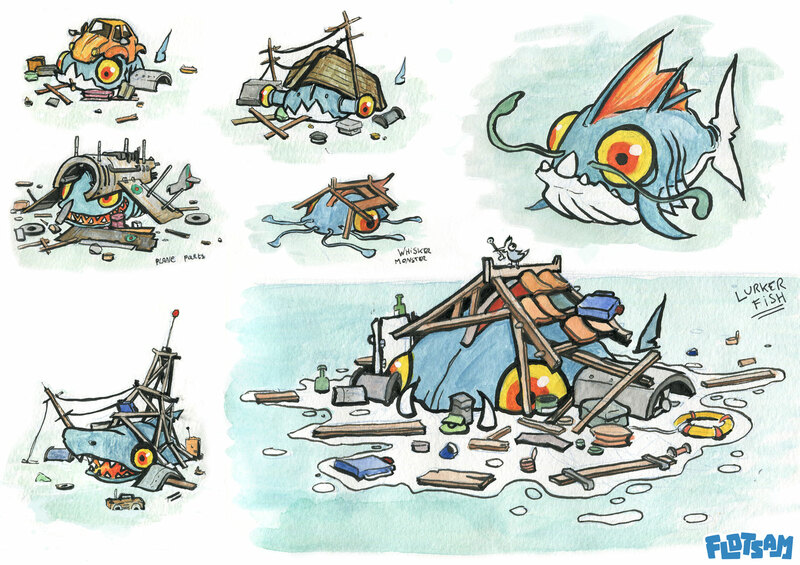 I love the concept art. 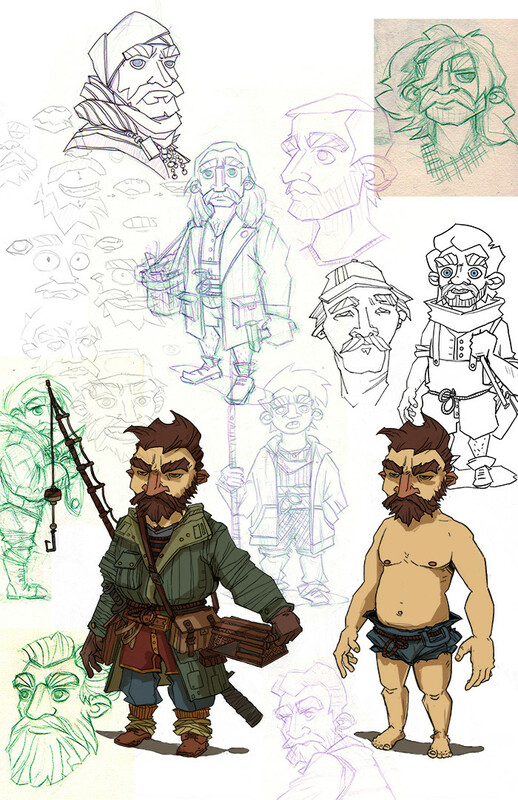 I'm one of the artists working on this game and I'm going to share some progress I made on the character concepts. Here's some of the first sketches,.. 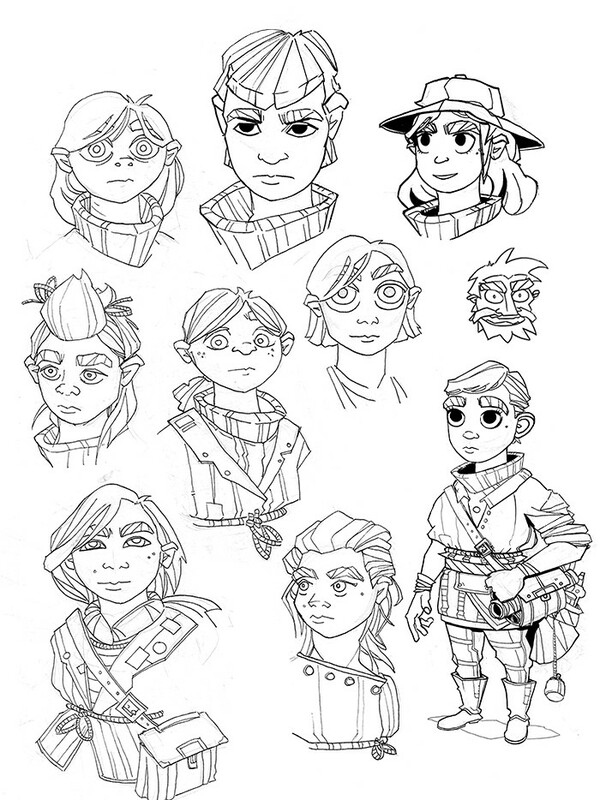 I was still heavily looking into different styles on how I wanted the characters to be, and even though this was NOT the style that I eventually decided on, these sketches here were the ones to point me into the right direction. I love this game idea This theme seems like it would lend itself really well to a city builder survival sim. Looks really cool! But I think "No land" at all might be a bit boring. A few small islands or even just sandbars would add a little variety and still be >90% water. But hey, I may disagree when I see some actual screenshots. I was immediately thinking Rage + Water World! if it's possible to pee in one's tomato plant! Definitely an interesting concept, and the art style is looking pretty unique. I've been thinking about making a city building sim where density is rewarded over sprawl, I wonder if your game will touch on that in any way? Hey guys, im the second artist at Pajama Llama. I'm mostly doing the environment art now for Flotsam. 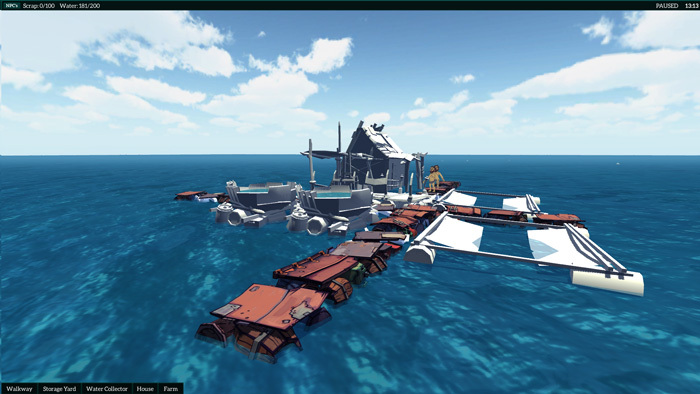 @Paul The base is probably gonna be floating around, so to get materials you'll have to find stuff like wreckage around you, throw out an anchor and "mine" them for scrap. Apart from that there's gonna be garbage and flotsam (omg that's the title ) floating about too for you to pick up. @StormsInJuly That's what we thought too :p And there's never enough building sims anyway. @RujiK We're thinking about some creative solution around that. 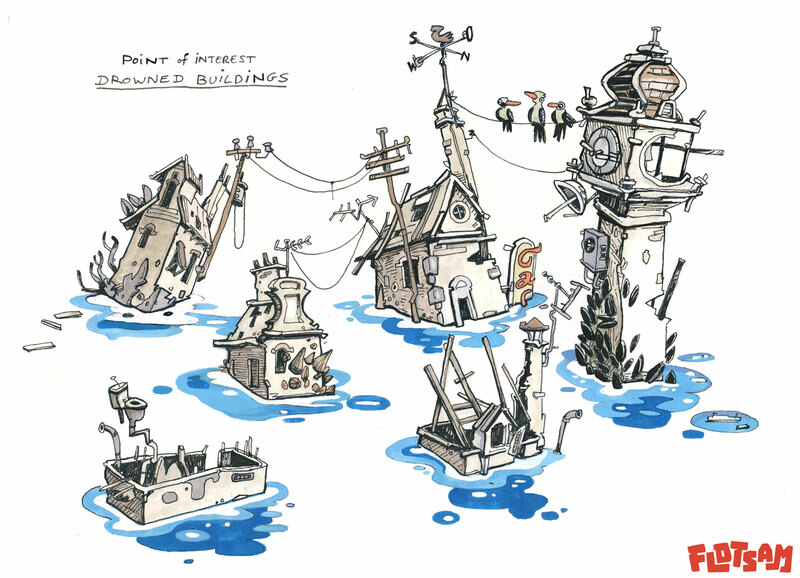 We will have wreckage and flooded villages below surface, and of course a lot of other floating stuff around you to make the environment more interesting. @AxezDNyde You ever seen paper???!!! @Paul Yes, Rymdkapsel is something we still have to play, looks very interesting though! @Ryansumo Aha, we have a lot of ideas. Some of those related to the sprawl of your town. We'll expand upon these later when we're more sure about it. 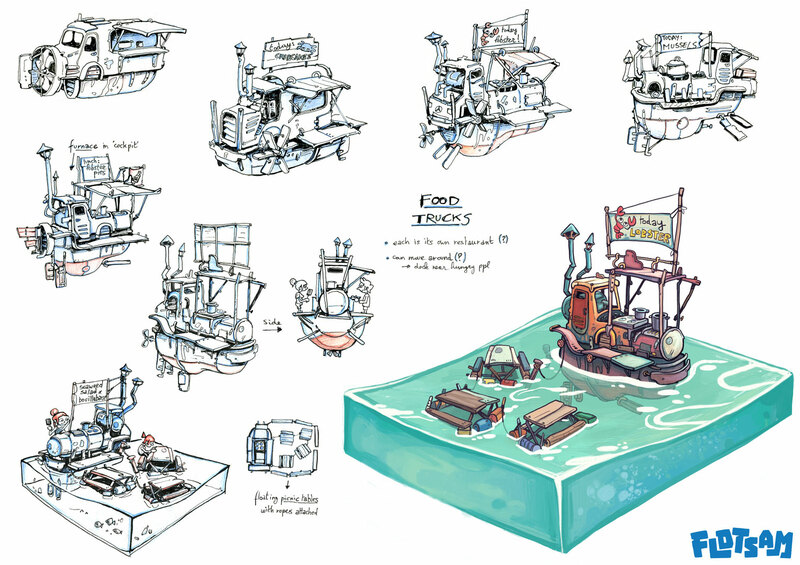 But it's likely in the future we'll have some mechanics that influence the way you'll want to build and spread your town on the water. Thanks for all the great responses everyone, it means a lot to us. @AxezDNyde I'll be sure to add jars of dirt! @RujiK I'm not too sure about that. 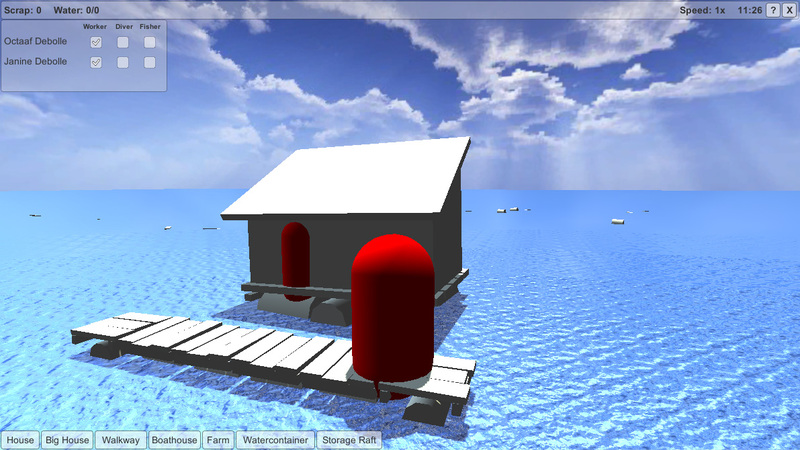 Keeping it water only contains it simpleness, I doubt adding it would improve the gameplay at all. Anyway, here's some more sketches thrown together. You can see how the brown guy before evolved into a different style, which is the direction it's eventually going. Oh and some females as well. I'm back again with another art update. Here's another style search from Juwdah. 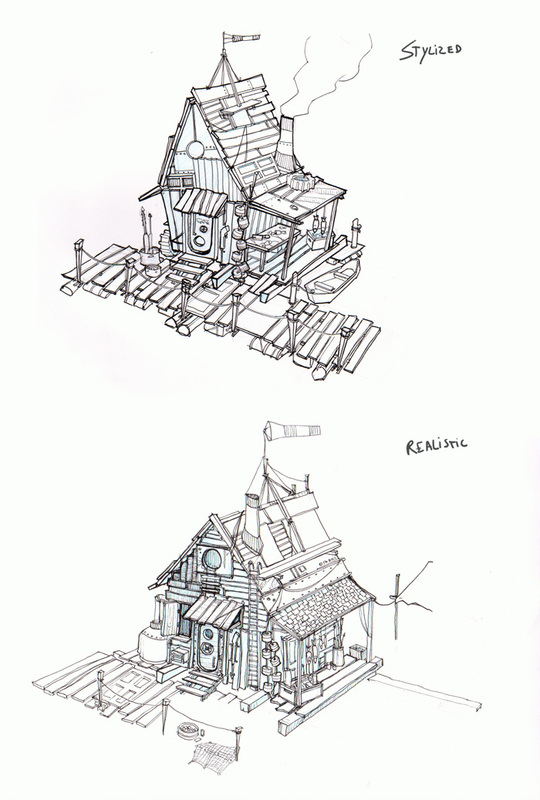 And these are some more sketches from wazeau with possible ideas. But we don't know for sure which ones we'll keep. Time will tell. Tomorrow we're showing our first build to some other developers at an event for the first time. We're quite anxious, but I'll let you guys know how it went! Back with an update. 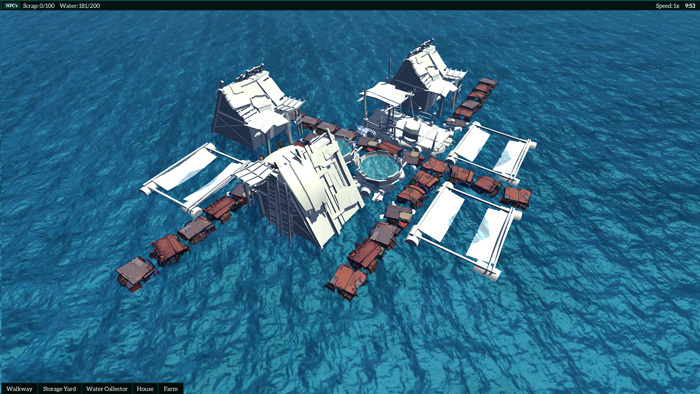 This time with some real, very early screenshots of the progress of developing the game. But first, we showed our newest build for a first time to other developers at a developers showcase at Screenshake, a local event. We got some great feedback and got to know a lot of great people and their games. Best thing is, now we've got another great soundboard for feedback later on. Always handy. 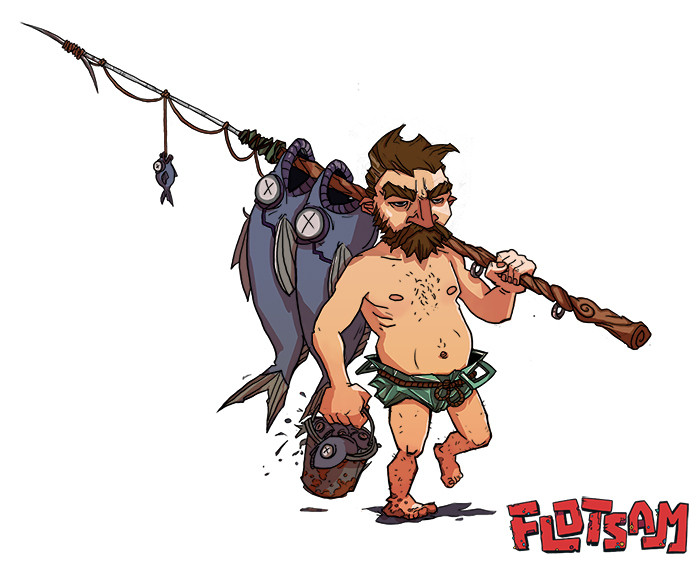 Anyway, as you might or not know I'm doing the coding on Flotsam, which means I'm also the guy who's constantly wrangling the powers that are Unity. 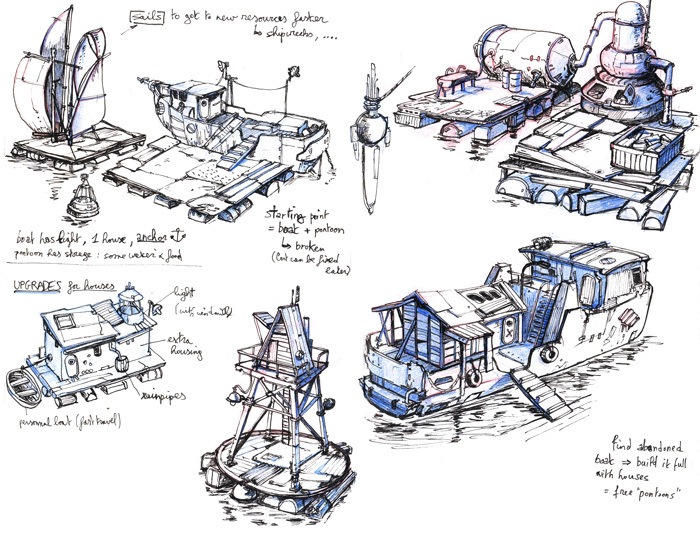 When we started we set out to create one or several prototypes of Flotsam, but this turned out difficult to do. Because Flotsam isn't based on a single system or mechanic, but multiple ones working together a decent prototype testing Flotsam would already be a big part of the game already. That's why I started making a first prototype with some systems and iterated or sometimes rewrote those systems. Constantly working on these to build to the final game. Now I'm at a steady pace ready to occasionally show some in-game stuff. Without further ado, a heap of screenshots! What Flotsam first looked like with basic placeholder art. Then I added some capsule inhabitants, a simple water-shader and skybox for fun. Soon the capsules were replaced by a model created by Juwdah. 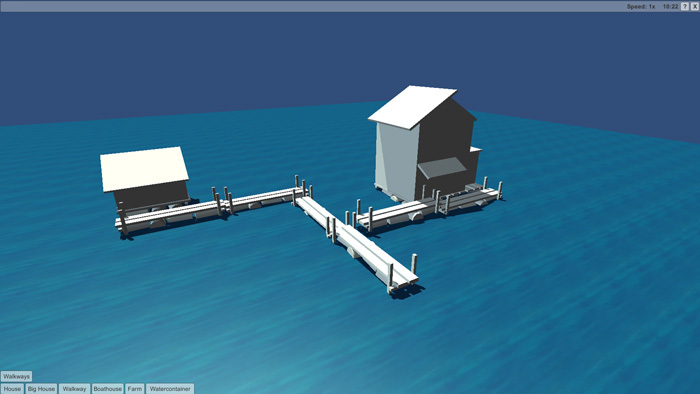 And then some modeled buildings by wazeau including the first textured walkways. First picture is the already shown screenshot-saturday shot from that thread. The second is new! We'll keep posting updates. Meanwhile we look forward to your thoughts and comments! I'm just gunna keep posting some concepts on here. The concept art is gorgeous. 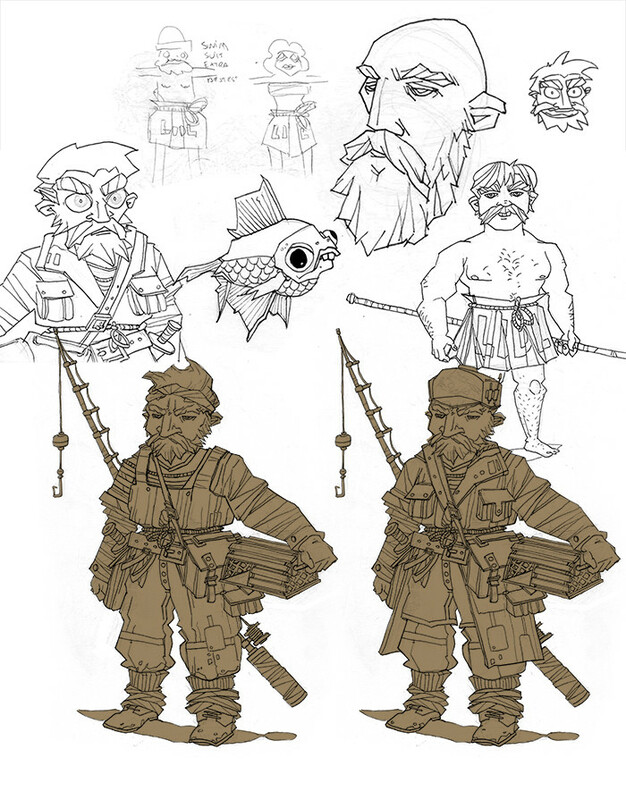 Your concept artist come from comics? It looks a lot like franco-belgian comics. I like it. 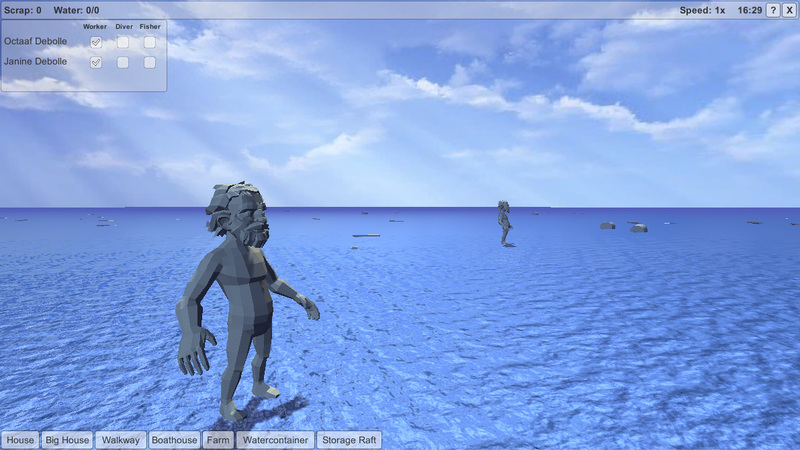 Your first 3D tests look promising also. i'm looking forward to seeing more! @mbalestrini We'll keep you posted Thanks! @Igor Sandman Thanks man, that's a great compliment We're all belgian and definitely read a lot of those comics.